Hunting fashionable and classy outfits for your beau, or looking for some classy men's wear for yourself? 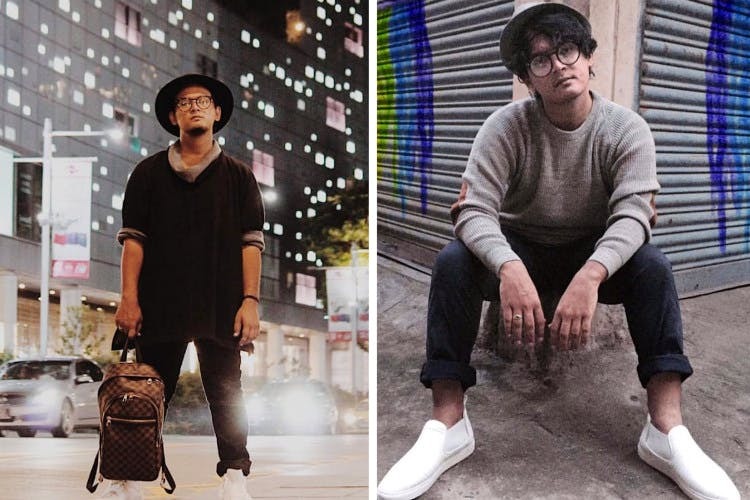 Your job just got easier, for we asked our city's own style icon — Devesh Baheti where to grab the trendiest and classiest outfits from. Here's what the fashion influencer had to say. Devesh swears by the versatile range by Westside's in house label — ETA. They have linen, cotton and more sustainable fashion, in colours that are easy on the eyes. For minimalistic designs, and a clean, smart look, get yourself shirts from here. They're urban, contemporary and classy. Therefore, you can wear them to functions and events where you don't want to wear shiny traditional outfits, but want to make an impression, nevertheless. Zara is his go-to store for all things luxury. If there's a major party scene around the corner, and you don't know what to wear, you know you'll certainly find something at Zara. They have smart jackets of international fashion standards, curated keeping the street style in mind. Even though the price range is high, the quality of clothes from here is unmatched. For all your desi moods, he recommends Fab India's breathable, easy to maintain kurtas. If, like Devesh, your style is androgynous, then you will have a lot to pick from. From block printed shirts to flowy outfits and Indian textiles, they have it all. However, their footwear collection deserves some attention as it is available in earthy tones and has amazing grip. This makes a good fit for Indian outings where the desi in you awakens. Forever 21 is where you can hoard casuals from. They have basics that can be magnified into a grand looking attire using accessories from here, itself. Be it for fast fashion where no style is repeated, or pocket friendly couture or for days when you want simplicity to do the talking — a Forever 21 outfit is a must in your wardrobe. Every Sunday at Abids is a bargainer's paradise. At the flea market, you will find lounge-y outfits for absolutely cheap prices. Although, the quality may not be the best, it is durable and makes for a good variety of disposable clothing from time to time.